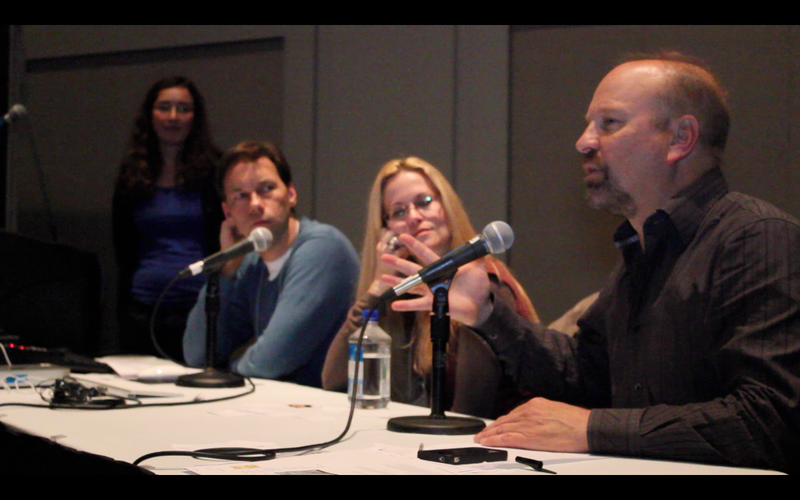 It was a great session and in a couple weeks we’ll have a video version of it. 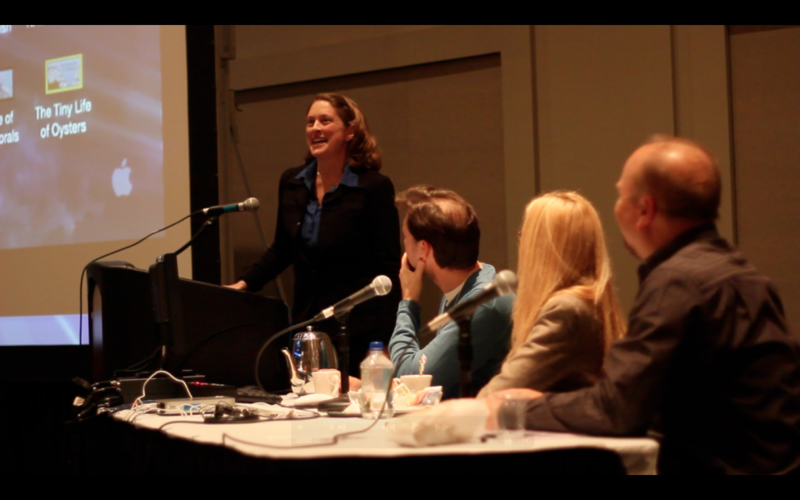 Videomaker Elizabeth North talks about her short, “The Tiny Life of Oysters” as the S FACTOR PANEL. The videos along with their feedback and comments from the panel can be found here. The quality of the videos just keep getting better with each event. If I had to offer up one general overview piece of advice (which hit me for the first time with this event) it’s that everyone needs to start thinking more about the advance work in making a video — namely scripting. Lots of the videos are made from footage shot during cruises or field projects where, after the fact, the videomaker sits down to figure out how to put it all together into something understandable. Which is great and fine, but the next level is to start writing the script BEFORE you shoot anything, and have your story worked out BEFORE you begin rolling the camera. Not that you can’t assemble stories after the fact — documentary filmmakers do it all the time, and it’s my preferred mode for the most part. But … you want to make a really good film? You need to find a story, shape it, then shoot it. It is often said that, “A movie is written three times — first as the script, then during the filming, then again during editing.” My overall advice from this session is for everyone to put a little more effort now into that first part.